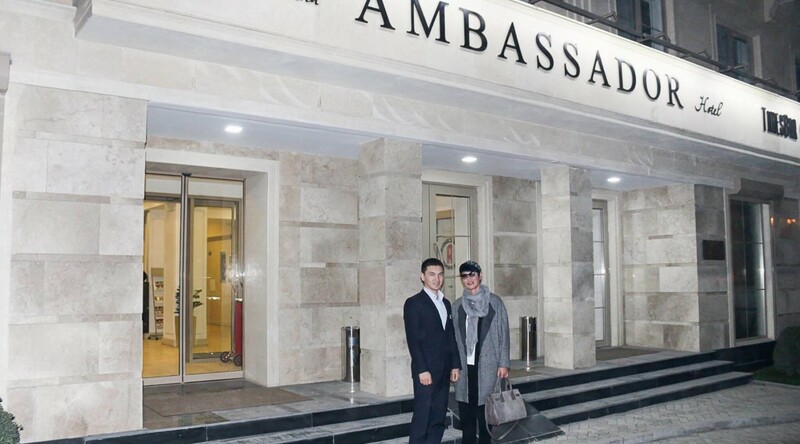 A well-known Russian politician and statesman, writer and TV presenter Irina Matsuovna Hakamada, during her stay in Kyrgyzstan, wished to stay in one of the best hotels in the city. That's why her choice fell on the hotel Ambassador. We prepared for her one of the best and spacious rooms Attaché Lux and made an effort that no one bother her during the rest. Despite her busy schedule during her stay in Bishkek, Irina Khakamada found time to visit the sauna and massage room in our hotel. Relaxed and restored strength, she went to the Times Bar on the roof of the Ambassador Hotel, where she appreciated the best national dishes. As Irina Khakamada noted, she really enjoyed staying at our hotel. She was pleasantly surprised with the level of service, which is not inferior to foreign hotels, and the situation in it. She promised that the next time she would absolutely choose the hotel "Ambassador". We will be very glad to see her as our guest again. We wish you Irina success and prosperity! A warm welcome in our hotel awaits any other our guest. Choose "Ambassador" and have a rest with maximum comfort!